I try to get everywhere early, get a coffee first – today that did not happen. Hat, The Gap. 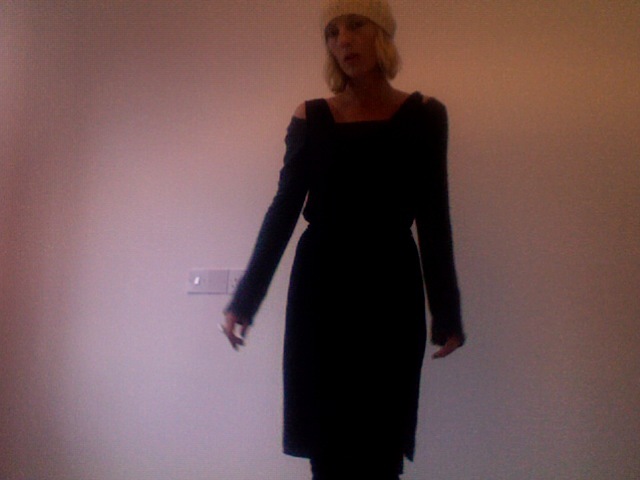 Toga dress, Whistles (I’ve died it black several times because I keep on wearing it. Pure micro modal – so washes and wears brilliantly). Beneath, long sleeve T shirt by American Apparel. Velvet drainpipes by Alexander McQueen, not seen.